Striker Jeanvion Yulu-Matondo has been released by Bury, just one day after signing for the League One club. 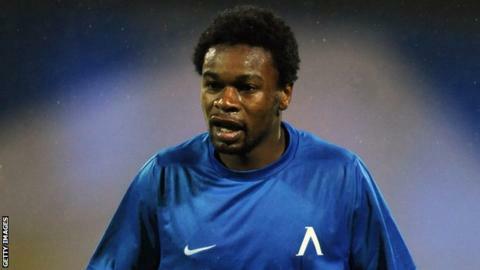 The former Belgium Under-21 international, 27, agreed non-contract terms with the Shakers on Monday. But he has been let go after playing in Monday's reserves game with Bolton. "If he had shown something in that game, I might have been able to throw him on the bench - he's on the next flight to Brussels," boss Kevin Blackwell told the club website. Yulu-Matondo, who signed for Bury after a three-week trial, began his professional career at Club Brugge, and scored for the Belgian side in a Champions League tie against Juventus. After leaving Brugge in 2007, he had spells in the Netherlands at Roda JC and Bulgaria with Levski Sofia, before returning to Belgium to play for Westerlo in 2011. However, he was released by the club at the end of last season without scoring a goal in 15 appearances.